The highways are a haven for travellers in Sri Lanka. It has improved travel time tremendously. For example, a resident in Colombo can now reach Galle in 1 hour, when the previous trip took a little over 2 hours. The immense popularity of both the Colombo-Katunayake highway and Southern expressway illustrate that people want to get to their destinations faster. However, have you ever wondered what you should do if your vehicle broke down on the highway? 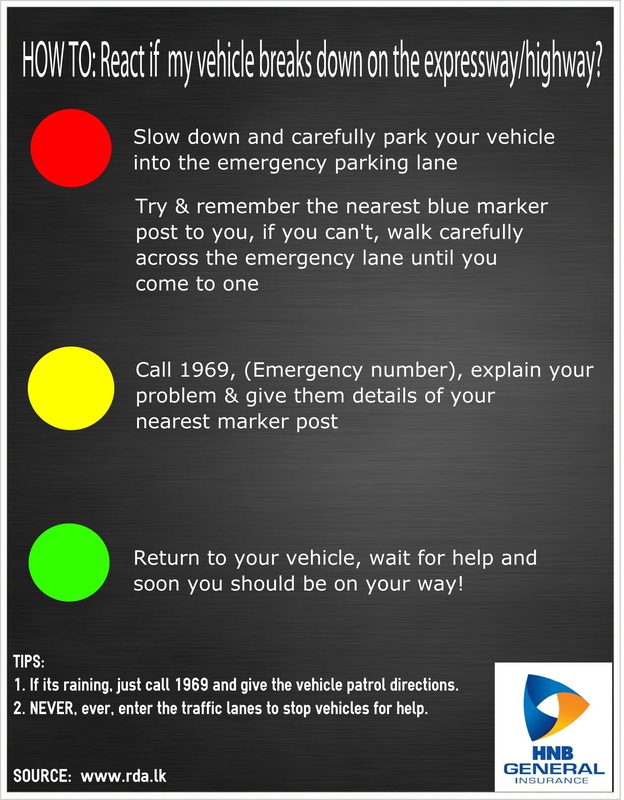 Worry no more, have a look at our infographic below and remember to drive safe! How does the Touch Travel Card Work? So what does this mean for the average commuter? Read on for more. 1. Improved Efficiency: A ‘Tap and Go’ system where a prepaid card automatically pays the exact bus fare is a big improvement from the current system, where it can be a messy process to get change from the bus conductor (if at all). This means that lesser time is spent in the ticket/funds exchange process, which allows for shorter stops at bus halts, and faster journeys overall. 2.No More Carrying Cash: If you are one of those who worries about carrying the exact bus fare, worry no more. The technology ensures that all you need to do is to simply ‘tap’ the card against the device, and it acts like a debit card, but you can add money to it and the bus fare gets deducted from the card. 3. Secure payment system: This particular technology has been used in numerous cities around the world to great effect. 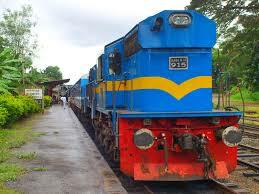 This allows Sri Lankan commuters the peace of mind in knowing that they will not be overcharged. 2. Training: Bus drivers and ticket conductors will need to be trained to operate these devices, which will understandably take a little time. However, once they are aware of the technical skills required to operate and repair the device, it should make getting on and off buses a lot faster. 3. Lack of awareness among public: Although the Touch Travel card has been available for some time, few people are still aware of it. Perhaps the bus conductors ought to promote the travel card to their passengers or put up internal signage on their buses to improve awareness among passengers. 4. Recharge Stations: In a similar way, reports suggest that the card can be purchased and ‘reloaded’ via communication shops. However, if there is a lack of awareness, customers will not purchase these cards. Again, store signage and shop owners ought to show that the cards are available (Rs.200, where Rs175 is a refundable deposit.) and it can make life easier for frequent commuters. Could Touch Travel Cards be implemented on trains like the ‘Yal Devi’? Student and Senior Citizens Travel Cards: A possible suggestion could involve a price discriminatory system where senior citizens and university students (who have less disposable income) could be charged a concessionary rate due to their lower earning capacity. Tourist Travel Cards: Given that there are a number of tourists which arrive into Sri Lanka annually, selling these cards at airports could allow tourists the chance to use local transport to ‘see the country’ through the eyes of locals. Expansion to Railways and the Southern Expressway: At present, these cards are only used for buses. It could be a viable solution to introduce these cards for railways as well as for individuals using the southern expressway/highway : which would mean fewer people waiting in queues in the train station and less cash handling when travelling on the Southern expressway. Liked this article? Subscribe to our blog for more relevant articles about transportation and motor vehicles.